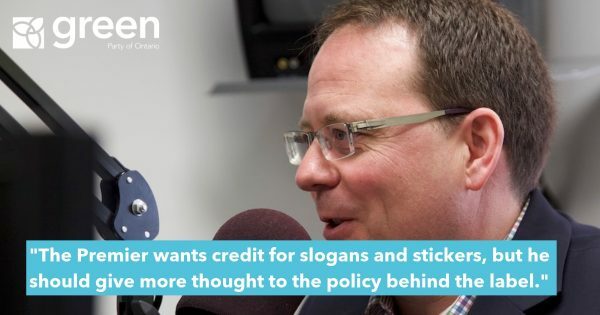 (Queen’s Park): GPO Leader Mike Schreiner is pushing the Liberal government to go further to liberate the local beer market, while complimenting the government for taking steps to require the Beer Store to be more accessible for Ontario’s craft brewers and for opening beers sales in supermarkets. The GPO has and will continue to push the government to allow local brewers to open Craft Beer Stores. There are more than 150 microbreweries, brew pubs, and small contract brewers in Ontario. Sales are booming: in 2013, according to the LCBO, Ontario craft beer grew 28% over the previous year. Yet, Ontario’s local brewers only have 3 percent market share due to market barriers. The Green Party believes allowing local brewers to open Craft Beer Stores will create a fair playing field, foster local jobs in the craft brewing industry, and offer more choice to consumers. Currently craft brewers can only sell through the Beer Store, the LCBO or on site of their production facility. They are not allowed to sell craft beer from other brewers. 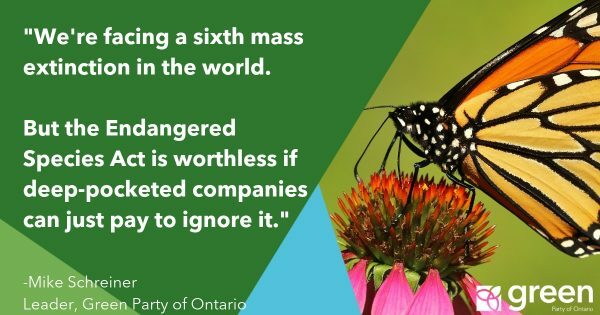 The Green Party is on a mission to bring good local beer to Ontarians and honesty, integrity, and good public policy to Queen’s Park.